Years before receiving a call to serve as pastor, I received one of the most helpful lessons on ministry from Eddie Rasnake and the pastoral staff of Woodland Park Baptist Church. In 2002 I moved to Chattanooga, Tennessee to go through the SALT Institute. SALT stands for Servant Approach Leadership Training. And this two-year cohort program—which continues to serve the people of WPBC—equipped (aspiring) church leaders with sound principles for Bible study, disciple-making, and ministry. Nearly fifteen years later, the things I learned in SALT continue to shape my approach to ministry. That said, one of them, stands above the rest—ministry is received, not achieved. What is an Achieved Ministry? Have you ever met someone whose singular aim is to convince you they are called to ministry? Maybe they give away scores of Vista Print business cards inviting you to invite them to your church; maybe they email you regularly to convince you why they should speak or sing or play at your next youth event; or maybe they give as much attention to networking as to prayer and the study of God’s Word. All of these are symptoms of an achieved ministry. To be sure, Christians ought to be zealous in using their gifts (Romans 12:8, 11). We ought, as William Carey once said, “Expect great things from God,” and “attempt great things for God.” But while God honors such passion, we must admit there are plenty of zealous people not named Carey. In other words, not every zealous minister is equally pleasing to God. Too many are driven by impure motives. And here, I’m not just talking about others. I know my own heart and the conniving ways I seek to assert myself. So what is the solution? My answer, the answer I received from the SALT Institute, is to crucify self-achieved ministries and pursue, with a patient heart, a received ministry. What Does Scripture Say About a Received Ministry? Scripture is filled with commands to wait on the Lord. While the contexts of these and other “wait” imperatives are varied and often relate to the Lord’s eschatological deliverance, the pattern of waiting is normative for the believer (e.g., 1 Corinthians 1:7; Titus 2:13; 2 Peter 3:12). Coupled with these commands are the verses that instruct us to rest in the Lord (Psalm 46:10; cf. Hebrews 3–4), abide in the Lord (John 15:1–8), and feed on his faithfulness (Psalm 37:3–4). Indeed, ministry that pleases the Lord does not come out a nervous tick to do something for God; it emerges from a steadfast faith in God that moves us to love others in speech and action. Ministers of reconciliation, i.e., gospel ministers, are compelled by love for Christ, not a lust to make much of self. A received ministry stands on the foundation of the gospel. In principle, it coheres with Charles Spurgeon’s warning against an “unconverted ministry” (see his first lecture, “The Minister’s Self-Watch,” in his Lectures to My Students). Yet, an achieved ministry not only shows up the unconverted. All genuine ministers are tempted to do great things for God without the promise of God’s power and presence. This is why a received ministry is so vital. John’s sense of “receipt” comes from the fact that he was sent by God. Just as Jesus was “sent” by his heavenly father—a theologically and missiologically rich term in John’s Gospel—so John received his ministry through the mission he received. Next, Paul says twice he received his ministry from the Lord: “I do not account my life of any value nor as precious to myself, if only I may finish my course and the ministry that I received from the Lord Jesus, to testify to the gospel of the grace of God” (Acts 20:24). 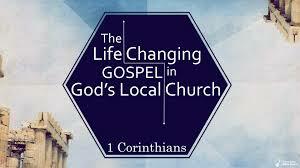 Likewise in Romans 1:5 he says he “received” grace and apostleship to bring the gospel to the nations. Zealous for the Lord, Paul sought to achieve great righteousness in Israel (see Galatians 1:14; Philippians 3:3–8), but the Lord had other plans. On the road to Damascus, Paul repented and received his new commission (Acts 9). This may lead one to believe a “received ministry” is only for prophets and apostles. But that does not hold up, because there are others who also “received” a ministry. For instance, Paul says to Archippus in Colossians 4:17, “See that you fulfill the ministry that you have received in the Lord,” and to Timothy “Endure suffering, do the work of an evangelist, fulfill your ministry” (2 Timothy 4:5). From these instructions, we close in on a normative pattern for ministers of the gospel. Like the priests of old, we do not call ourselves to ministry (Hebrews 5:4). Rather, we wait on the Lord, we press into knowing him, and we pray for him to make known our calling. The final piece in this ministry puzzle is the necessary role of the church. For example, when the Holy Spirit called Paul and Barnabas to Galatia, they were worshiping, praying, and teaching in the church at Antioch (Acts 13:1–3). Even when the “call” came, the church continued to pray and seek the Lord. In short, Paul clearly received his ministry by the Spirit, but that didn’t overturn the role of the church. Ultimately, the Spirit moved in and through the local church to send them out. The same is true today. The local church is the place where believers are recognized (through baptism), gifts are cultivated (through service), and ministries are motivated (through gospel preaching and evangelistic praying). As individual’s delight themselves in the Lord and exercise their gifts in the church, the elders oversee ways for growing members to use their gifts. In this way, ministry carried out in the context of the local church protects zealous servants from running ahead of the Lord and sluggish servants from dragging their feet (like the horse and mule in Psalm 32:9). In both of these ways, the church wards off proud ministries of achievement, as it creates an environment where disciples are waiting to receive marching orders. In the end, every gifted believer should fulfill the ministry they have received from the Lord. Maturity, passions, vocations, and experience all play a role in an individual’s calling to ministry. Every ministry is as unique as the person who fulfills it, and as personal as the God who makes us. Truly, ministry that bears fruit for God’s glory is not something we dream up and decide on, so that God can bless our ideas. Rather, like everything else God does, genuine ministry comes from God, is accomplished by God, and is ultimately for God. In this way, we should crucify self-made ministries of achievement, and instead we should wait for, pray for, and prepare for ministries received ministries. Since learning this biblical principle nearly fifteen years ago, God has used this truth to crucify much pride and create pastoral endurance. More than that, he has shown in action what receiving a ministry looks like. I praise God for the lessons I learned from Woodland Park Baptist Church, and I pray that we who labor in the valleys of the shadow of death would continue to abide in this principle: True ministry is not achieved; it is received. To be sure, received ministry can take place in other ministry communities, but even then such parachurches are retrofitting principles that originate in the church. Interestingly, Archippus who received his ministry in Colossians 4:17 is called a “fellow soldier” in Philemon 2. This is helpful. Thanks for writing this and trying to live it out. Thanks, Adam. Hope you are well. Great stuff David! Thank you.